Since the 1990s, there has been a massive expansion of India’s higher education sector. In less than 30 years, according to the UGC’s annual report of 2016-17, the number of students enrolled has been a staggering 29.43 million of which girls constitute about 49 per cent. The annual growth-rate in terms of enrolment is about 3.3 per cent. The total number of colleges and universities stands at 42,338 and 895 respectively. There are 47 central universities, 364 State-aided universities, 123 Deemed Universities and 96 Institutes of National Importance. The total faculty strength is 14,70,190. Despite such expansion, mainly horizontal, the Gross Enrolment Ratio ( GER, being the percentage of enrolment in higher education in the 18-23 age group ) is only 24.5 per cent. This would mean that about three-fourth of eligible students have no seats on offer when they apply for admission. It is extremely disappointing that out of 42,338 colleges, only 2164 colleges ( 5.1%) are accredited by UGC under Sec. 2(f) of UGC Act, 1956. This approval under 2(f) is mandatory and no institution can operate without 2(f). Colleges having accreditation under both 2(f) and 12(B) Sections number just 9,414 (22 per cent ). This is a reflection on the socio-political system, one that enables as many as 95 per cent of colleges to function, despite the flouting of rules and the pathetic infrastructure. The institutions hardly ever care to meet the UGC norms of infrastructure in order to be approved under 12(B). Still more glaring is the NAAC assessment that only 32 per cent of the universities that were visited by the peer team and 9 per cent of colleges are of ‘A’ Grade. The rest, about 68 per cent of the universities and 81 per cent of the colleges are of average or poor quality. There are a few islands of quality education in an ocean of deplorable mediocrity. The bulk of the students have no choice but to pursue education in these sub-standard establishments. As regards the cost of higher education and research, the quantum of state funding has declined over the years, indeed ever since India signed the WTO Agreement in the 1900s, thereby finding a place in a so-called networked globalised world. The bottom-line of this policy is to undertake economic reforms to ensure liberalisation of government rules and regulations, privatisation of industrial enterprises in the public sector, notably health and education, incentivise private investments and allow unfettered free competition in each and every sector of economic activity. The clutch of reforms affected the entire education sector from pre-primary to university levels. The data of public expenditure on education vindicates this contention. Data is available for 2013-14 which shows that 4.44 per cent of GDP was spent on education, the share of higher education being only 1.35 per cent. Incidentally, this level has remained stagnant since 2009-10 (11.29 per cent) although the Kothari Commission had recommended in 1966 that at least six per cent of GDP must be allocated for the education sector as a whole. The share of total public expenditure on the education sector was 15.76 per cent and that of higher education sub-sector was about 5 per cent. The policy shift towards private investment in education, particularly in higher education is, therefore, fairly obvious. As per WTO regulations, the federal and state Governments must move away from public investment in education and the resultant space given to private investors. Already the school sector is dominated by private entrepreneurs, the ratio of aided to non-aided being 7:5 up to the 10+2 stage. There has been an aggressive intrusion in the tertiary sector ~ under-graduate and post-graduate combined. Data for the 2016-17 session reveals that about 67 per cent of students are now studying in private institutions in the tertiary sector where the government has given them a free hand to charge hefty fees without any control whatsoever. Gone are the days of either centrally-funded or state-funded colleges and universities, with a few private institutions operating here and there, set up mainly by Christian philanthropic bodies and other non-profit Society / Trusts. Clearly, our higher education system has finally broken free of decades of public intervention in terms of policy guidelines, supervision and control. In recent years, the country has undertaken massive structural and systemic changes. The present scenario has been highlighted in a Report on Higher Education prepared by FICCI in 2016. 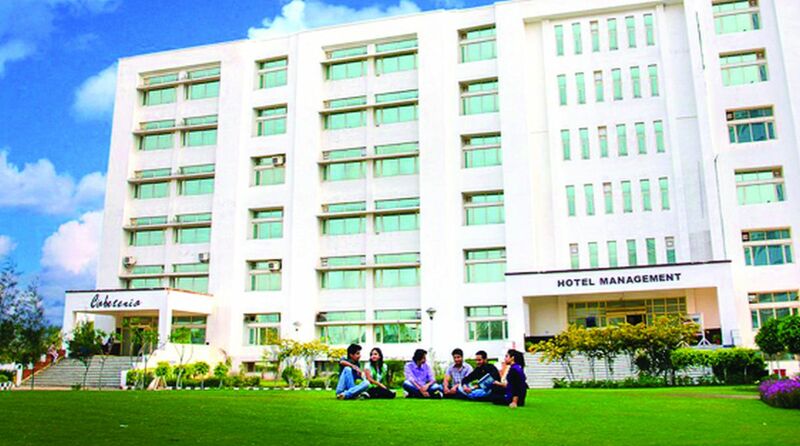 About two decades ago, India consciously moved to a differentiated academic system with a three-tiered structure comprising (i) highly selective elite research universities at the top; (ii) comprehensive universities and colleges in the middle; and (iii) an array of highly accessible establishments at the bottom. The first tier is destined to cater exclusively to furthering India’s intellectual capital. The other two are mandated to focus on delivering economic and social value. The top-tier universities are to be developed as Centres of Excellence. These are being set up with the vision to emerge as national and international leaders in education with skills and research output. They are enrolling a small set of talented, research-oriented students to be taught by stellar faculty. Faculty and students at the university will be entitled to receive substantial research grants. Going beyond traditional scientific and applied research, these universities will be expected to broaden the scope of India’s research capabilities to new interdisciplinary areas of scholarship that present the greatest opportunity for the creation of knowledge and are of great relevance for India in the new world. For example, Indian universities are at the forefront of research in bioscience, environment and climate change, inclusive development and leadership. Leveraging their cost and competitive advantage, these universities have pioneered the model of blended research where they collaboratively produce cutting-edge research with other top-rung universities around the world. Further, despite directly educating only a small group of elite students, these universities are also expected to emerge as role-models. The students will be allowed access to high-quality content from these universities through the Massive Open Online Courses (MOOCs) model. The UGC has put in place a Regulation in this respect in 2016. The second tier of universities and colleges are supposed to be industry-aligned professional institutions. This category of institutions has witnessed the highest rate of growth over the last two decades. At present (2016-17) about 35 per cent of students are studying in market-driven professional courses, but their actual placement data is not readily available. Focused on quality teaching and producing highly employable graduates, these institutions are advertised as a passport to white-collar jobs in a knowledge economy. They are expected, as per policy, to impart knowledge and technical know-how on the one hand and broad-based critical thinking and problem-solving skills on the other, to produce well-groomed industry leaders. The curricular focus in these institutions is on content delivery rather than content creation, where faculties borrow from the best open courseware and customise it to the needs of their students and this is how this category is distinct from the previous or the first type.. While some members of the faculty are academic researchers, these universities also induct experienced practitioners and industry professionals who can act as mentors to students in the early stages of their professional careers. The last cluster of broad-based highly-accessible universities endowed with the egalitarian principle of access with equity, is designed to expand the reach of higher education to all eligible and deserving students. These will offer a wide range of courses aimed at providing holistic education. These institutions will have significant regional and linguistic diversity and a balanced gender profile. They have poor infrastructure and physical resources. But these inputs are compensated by relying heavily on online methods of teaching and learning, often combining even ODL modes of delivery. All these policy directives are mentioned in the draft New Education Policy (NEP) which is likely to be enforced soon. The present policy of planned expansion has helped create the capacity for ever-increasing numbers, the differentiated systems have been instrumental in directing these numbers to the right streams and the appropriate types of institutions in order to effectively meet the needs of Indian society. The setting up of ‘education cities’ has also been envisaged. Tracts of land in many B- Grade cities are to be acquired to create such cities which will emerge as thriving inner-city university campuses, tightly integrated with their host cities. Unlike the mono-functional and isolated Greenfield campus removed from the city, these campuses will be located in the heart of the city.